Combo Breakdown, Hill Climb #CABALFANG #WOD | Robert Mitchell Jr.
Combo Breakdown (Set timer for 15 mins. Pick a combination and practice it slowly for a couple of minutes until it starts to get more fluid. Speed up gradually. Spend the last five minutes letting it fly as quickly as possible, as many times as you can until the timer beeps. My combo was as follows: Outside slip, inside slip, LH, RU, LJ, Spin Rev. Hook Kick); Hill Climb (Go to the steepest hill you can find and get up to the top and back down again as fast as you can using whatever means you desire. If running, make it at least 1/2 mile each way, if walking, hiking or biking at least 1 mile). 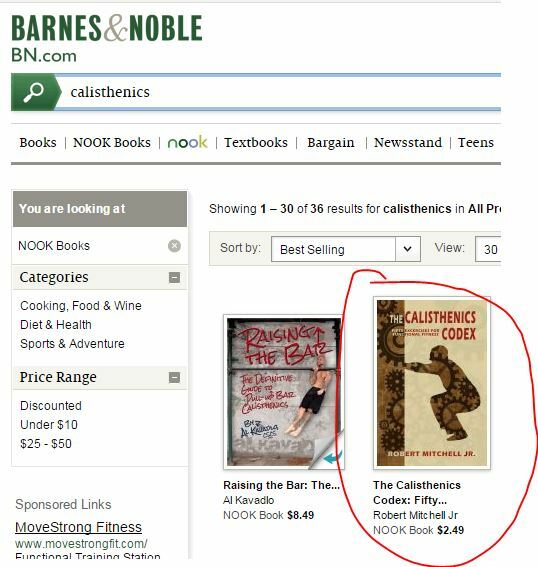 And by the way, you have only 3 days left to pre-order my new book The Calisthenics Codex for 1/2 price. On June 1st the price doubles to $4.99. Links below. Over 2,000,000 possible workouts! “The Calisthenics Codex” features 50 calisthenics, each fully explained, illustrated with photos, and arranged into lists that target your interests and fitness level. Choose one of 12 different workout types and then select exercises from 26 groupings like “Gym Class Flashback”, “Steampunk Nightmare”, and “Self Destruct Sequence” to create workouts that suit your goals, interests, and fitness level. The possibilities are virtually endless. People who know the truth about functional fitness — from elite military forces to boxers, MMA fighters, models and actors — rely on calisthenics to realize their goals. Are you sick of not being in the kind of shape you want to be in? All you need to remedy the situation is a copy of “The Calisthenics Codex”, fifty square feet of available floor space in your basement, garage, den, or backyard, and a little bit of attitude and determination. This entry was posted in Martial arts and tagged cabal fang, WOD. Bookmark the permalink.